Jean-Claude Juncker says Commission is not negotiating Brexit deal in "hostile mood"
“We want a fair deal with Britain and we will have a fair deal with Britain. 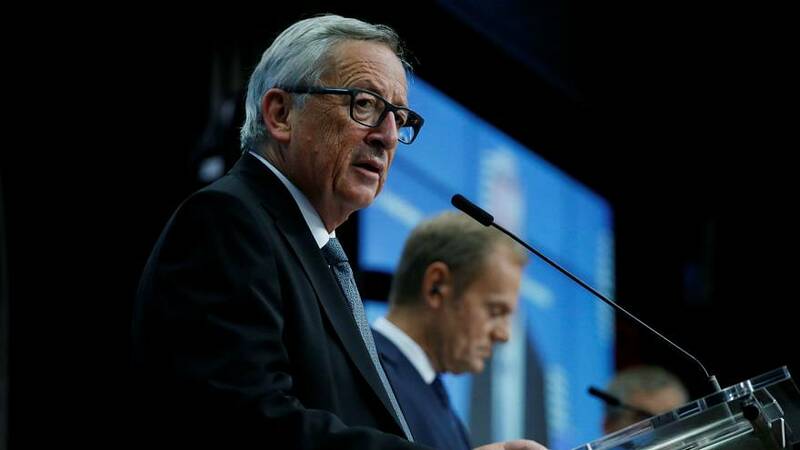 A no-deal is not our working assumption,” said Juncker. Juncker’s intervention comes after the Commission dismissed reports of Britain’s PM “begging for help” with Brexit negotiations at a private dinner in Brussels. However. Minutes later German Christian Democrat MEP Manfred Weber said they had to prepare for a no-deal scenario. Weber added Brexiteers have “no common plan” for how to leave the union and that businesses in London are getting nervous.